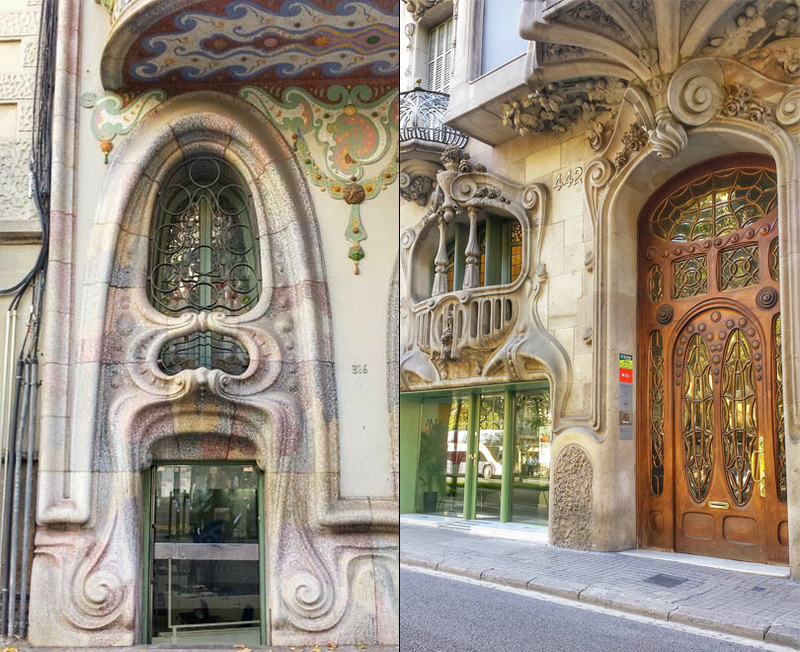 Barcelona’s top modernist sights are usually pretty obvious to anyone passing by – the colorful buildings with incredible design details and unusual shapes are fairly hard to miss! But, despite the eye-catching nature of these buildings, lots of them are still hiding little secrets behind their walls. 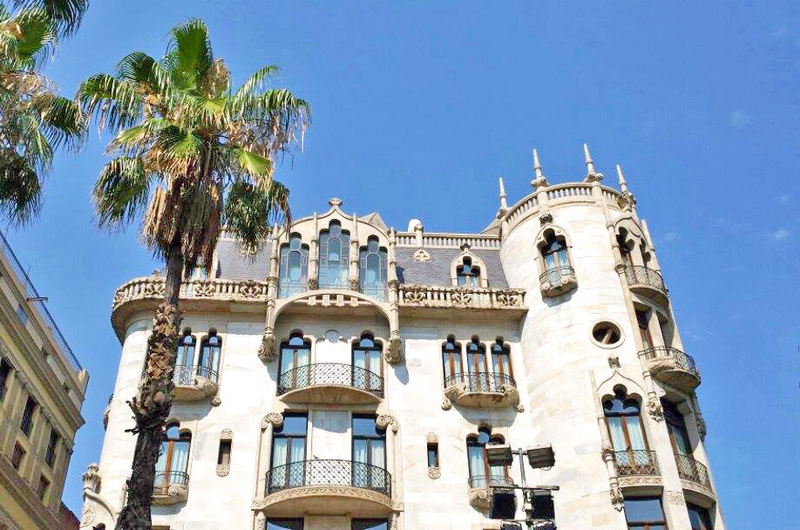 I went on a Gaudí-inspired treasure hunt put together by Marriott International to discover some of the lesser-known secrets that these spectacular buildings hold. 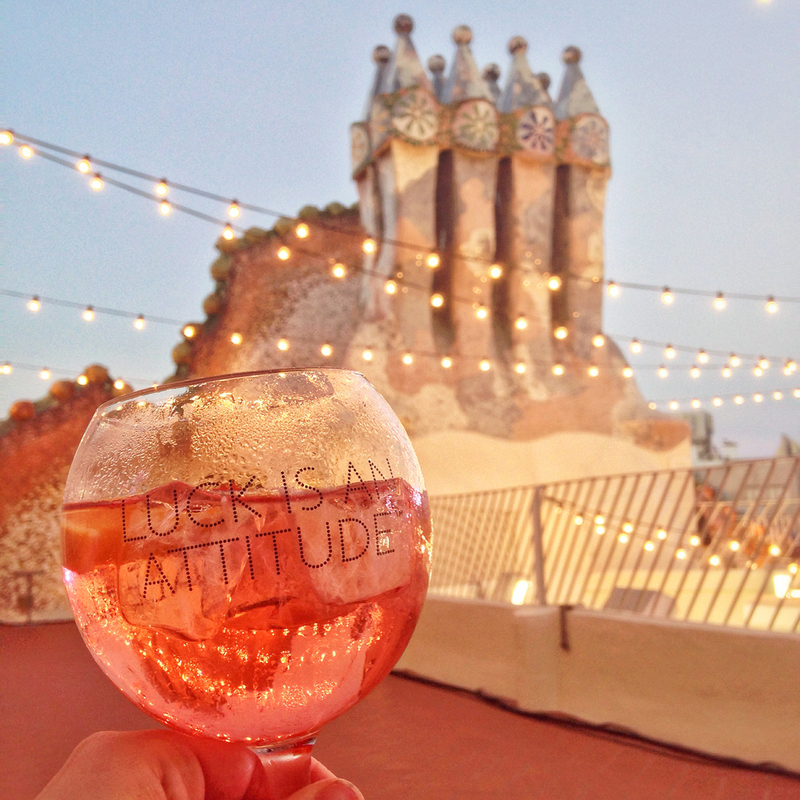 Let’s start off with a little Gaudí inspiration to get in the spirit of #FindingGaudi. 🙂 Oh, and don’t forget to check out the map at the end so you can plan out your own architectural adventure. 10) You know you’re on the right trail when you see one of these. 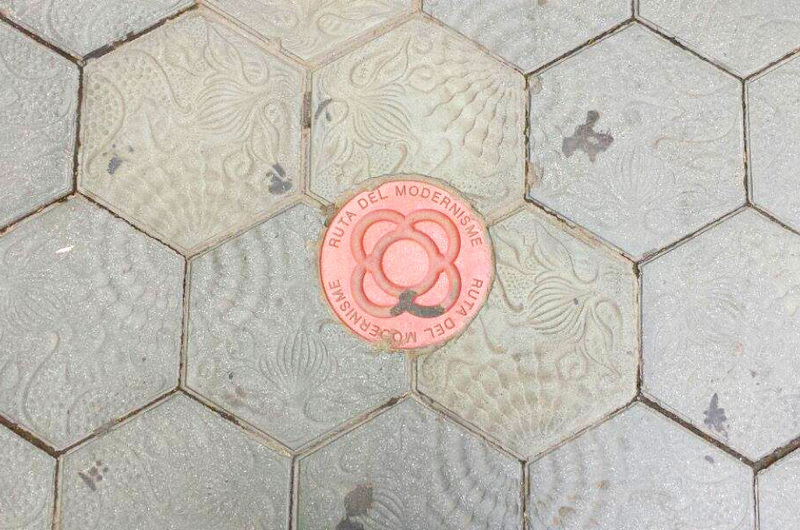 Look closely at these little red circular tiles, and you’ll see that they say “Ruta del Modernisme” – the Modernist Route. They’re placed all throughout the city when you’re near the major modernist sights. They’re a great way to both stay on track and as a heads-up to let you know that you should keep your eyes peeled for something spectacular coming up. 9) Casa Lleó i Morera is guarded by lions. As you walk up the grand Passeig de Gràcia from Plaça Catalunya, this is the first house on the Block of Discord that you’ll see (that’s the nickname for a city block packed full of modernist buildings from the most famous architects of the movement). Fittingly, the house is guarded by lions – or a “lleó” in Catalan! You’ll also see “moreras” decorating the building; that translates to mulberry tree. Lots of modernist houses have secret references to the owners somewhere hidden in them. They’re pretty to the passing eye, and special if you know the story. 8) Casa Batlló features one of Gaudí’s signature moves. 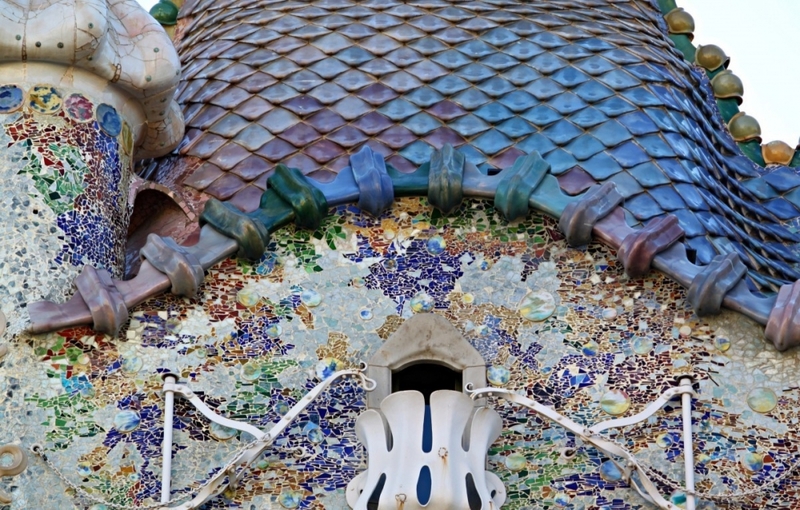 The shimmering front of Casa Batlló is made up of small pieces of broken glass and ceramics. The glass pieces are for an underwater effect that goes throughout the house, and just like water they shine when the light hits it and changes color throughout the day. To sound fancy, the proper term for this is “trencadís” (from the Catalan verb “trencar”, which means “to break”). 7) You can try a local speciality at La Pedrera – for free. Combine the words “free” and “food”, and you’ve almost certainly got a hit on your hands. Famous turron-makers Vicens have a small shop located on the street level of La Pedrera. Turron is a Spanish specialty a bit like nougat, and there are nearly endless varieties here, from your traditional varieties to more adventurous flavors like rice pudding and even mojito. You can sample before you buy, as well as browse a truly mouth-watering selection of sweets. Yum! 6) Woody Allen is a fan of the Casa Fuster hotel. 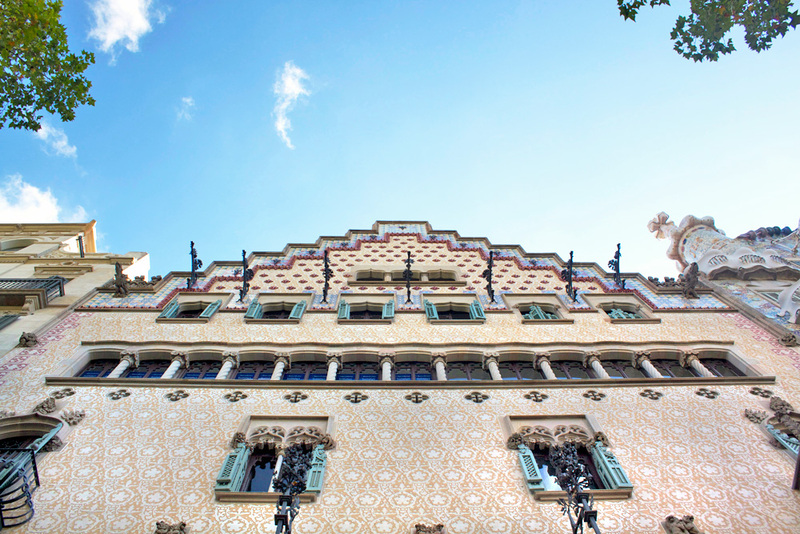 Casa Fuster sits at the very top of Passeig de Gràcia on the edge of the Gràcia district, and it’s quite well-known for a few different things: being an outstanding piece of architecture, being a crazy luxurious hotel, and for having a jazz club. Woody Allen featured the lounge of Casa Fuster in his movie Vicky Cristina Barcelona, and he himself has played at the Jazz Club. If you’re a big Allen fan, rumor has it he likes to eat his evening tapas right around the corner at Bar Mut -as well as other big names like Javier Bardem, Russell Crowe, Robert de Niro, and Pep Guardiola. Yes, these really are two sides of the same building! 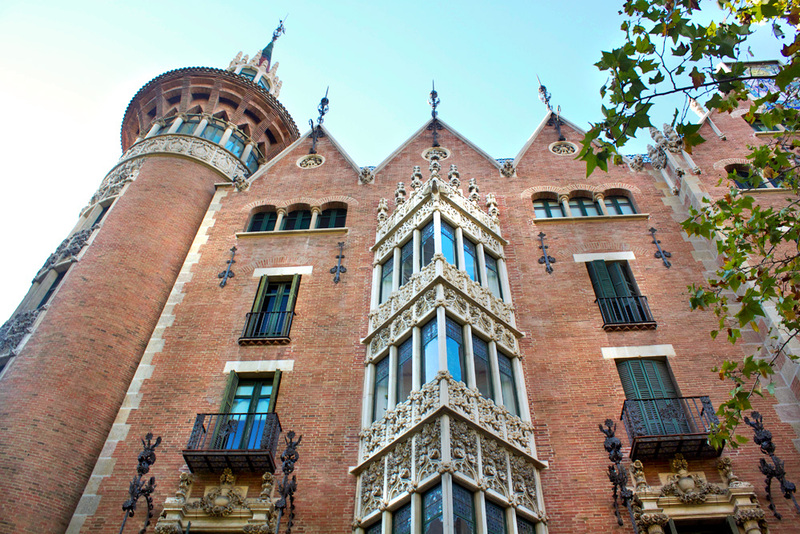 This intricate house is only half a street away from Passeig de Gràcia, but manages to be firmly off the tourist trail. 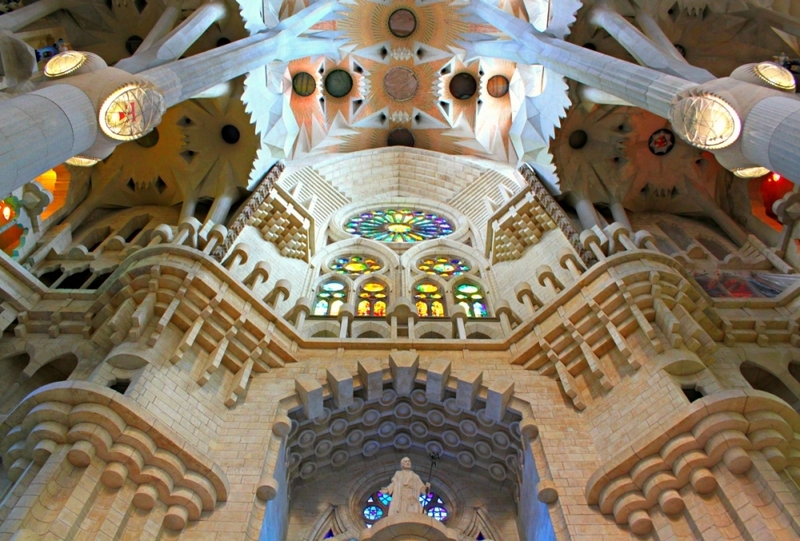 Though it is spectacular, it isn’t actually a Gaudí piece, but it does incorporate lots of the same elements the famous architect used, like curved forms and details that make a nod to nature. It’s Casa Terrades, after the Terrades sisters, who had three houses on this block and wanted to combine them into one big house. 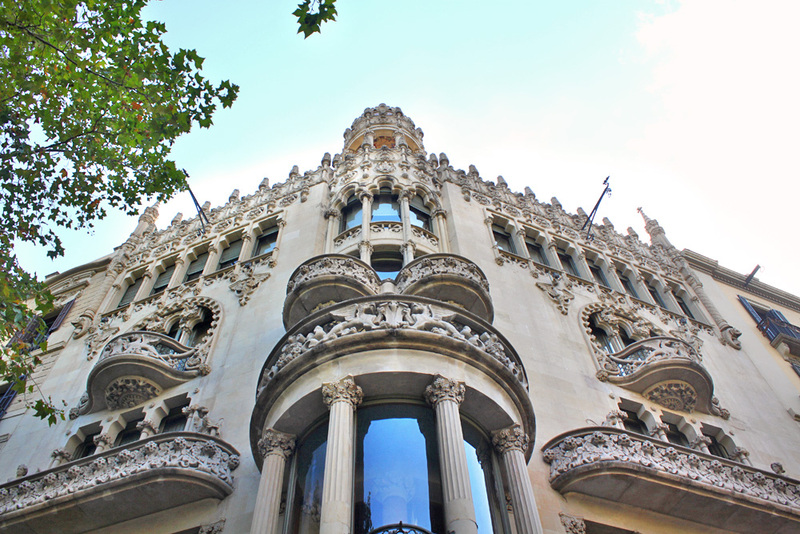 But it’s better known as the Casa de les Punxes, the House of Spikes, to locals. And – it’s opening to visitors very, very soon! Case Amatller was build for a rich chocolatier, and today the house looks like a fancy jewel box. Though you might not know it from the outside, there’s a wonderful cafe on the ground floor that anyone is welcome to visit (even if you haven’t bought a ticket to go inside the house). Even better, the now-cafe conserves many elements of the original house, like the kitchens and a large circular mechanism used to turn cars around. There’s also a lovely large terrace at the back that’s a nice bit of peace and quiet in the busy city center. 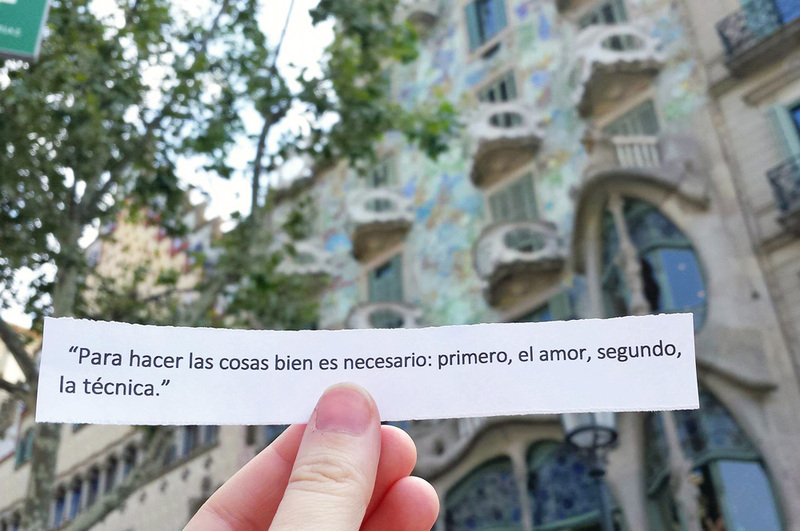 I personally don’t agree, but the quote makes me laugh – and not just because some of my guests have been similarly forthcoming about their dislike of Gaudí. To finish off the adventure through Barcelona’s whimsical modernist scene, what better place to end then back at Casa Batlló? Like I mentioned earlier, the façade changes colors throughout the day, so you may be surprised at how different it looks at night. And on top of that, the house hosts concerts on the colorful rooftop under a canopy of twinkling string lights during the summer. Relax and enjoy the show – this is one summer night you won’t be forgetting. I hope you’ve enjoyed this little tour through some of the loveliest modernist sights in Barcelona. Which one is your favorite? Thanks to Marriott International for working on this project with me! I received compensation in exchange for writing this post and participating in the event – which was a lot of fun. 🙂 As promised, here’s how you can recreate the route. I love all posts that take me on a walking tour that I might be able to do someday, and hope to have this with me when I come back to Barcelona. I’m a little sorry the tour didn’t end at Park Guell with the great overview of Barcelona, but maybe that was too far to walk. 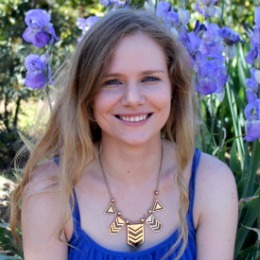 Lovely post, Jessica! 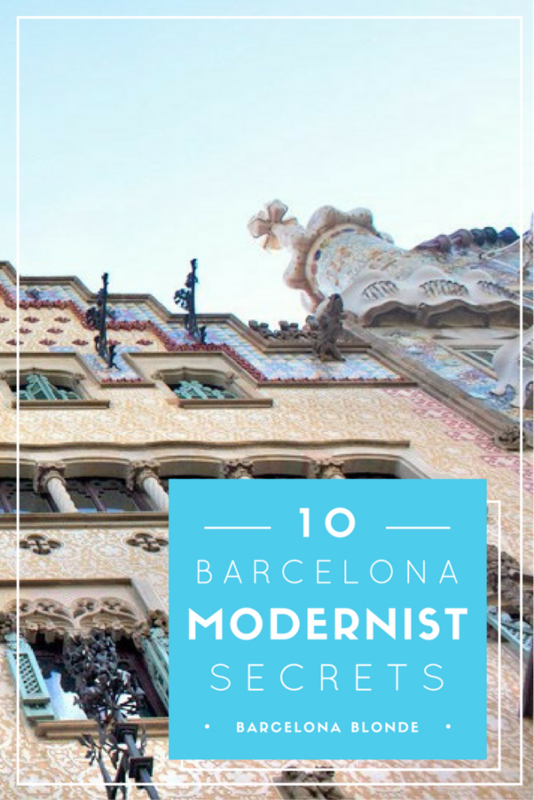 I followed the “Ruta del Modernisme” when I was in Barcelona last June and it was such a simple pleasure walking from the touristy center north toward Gràcia hopping from one gorgeous Modernista home to the next. Thanks, Trevor! I still love walking all around the modernist sights. They never get old! This is my favourite post of the week. Good one! I wanted to give you a heads up that a lot of these sites are offering half-off entry until September 15. 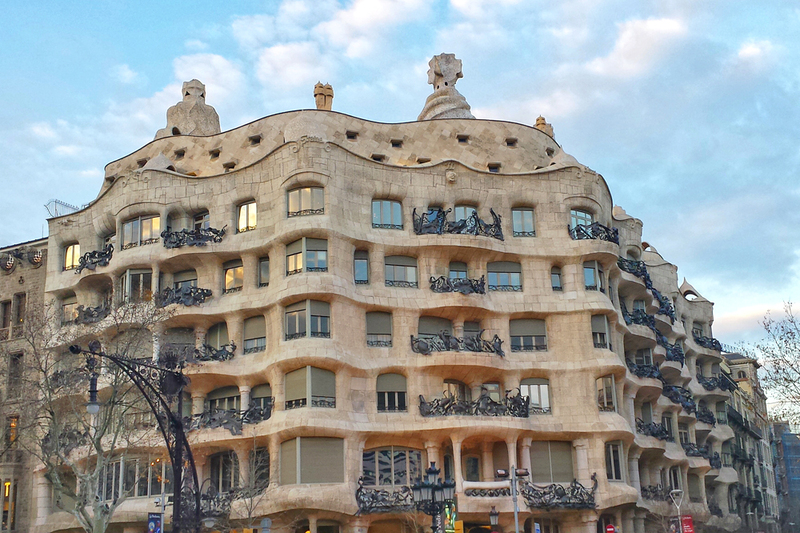 There are 20 places in total included in the promo, including La Pedrera and Casa Amatller. All you need to do is sign up for emails from Ajuntament de Barcelona, print the discount booklet, and present the page at the ticket counter. 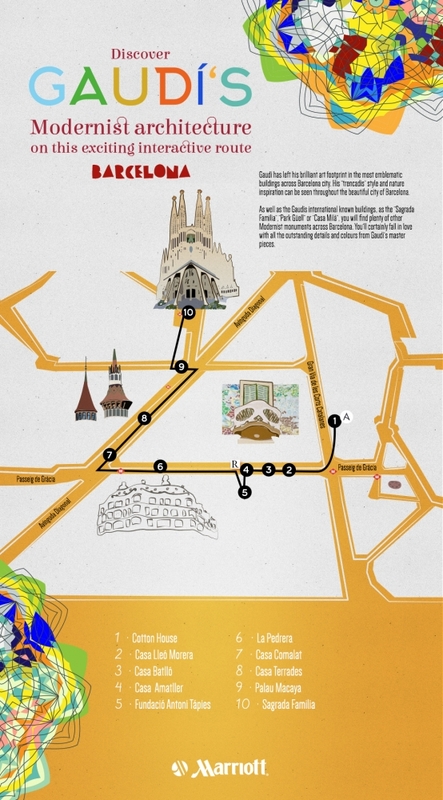 Plus, Sagrada Familia is offering a rare discount as well. 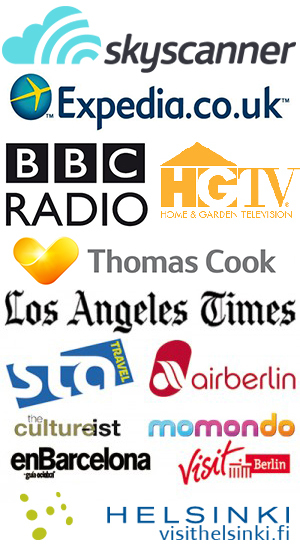 Until the end of September under 30s can get in on certain evenings for 50% off any ticket package. Barcelona is one of popular tourist spot in the world because it’s glamorous beauty!